One of the perks of being a one party state is that you can give yourself pay raises without fear of opposition in the legislature. EDMONTON — One of the wealthiest provinces in Canada has dramatically boosted the pay packets of its premier and cabinet ministers. The Alberta government has approved a pay hike, which will see each of the province's 23 cabinet ministers get a pay hike worth about $42,000, bringing their annual compensation to around $184,000 per year. 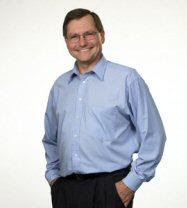 Premier Ed Stelmach will become among the nation's best paid premiers after approval of a 34 per cent pay hike. That brings his total compensation package to over $213,000 per year. Stelmach is defending the hefty hikes, saying they're needed to help recruit more people into politics. Oh that's rich Scott the legislature is dominated by the PC's. And they very rarely meet. In fact this pay increase goes to the politicians that work the least in Canada since Alberta has the shortest legislative sittings of any government in Canada. And in fact like most things done by the Alberta Government, (tm)(c) of the PC Association of Alberta, this increase was passed by Cabinet fiat.The issue never will come up in the legislature. That would mean it would be subject to public debate. When Alberta’s freshly re-elected premier Ed Stelmach decided to hand his caucus a massive pay increase this week, he avoided such complications: there was no panel, no polling. Just a quiet notice buried in the daily compendium of passed Orders in Council, of something called the “MLA Remuneration Order.” In actuality, it was an eye-popping 30% pay raise for cabinet ministers, who now will make $184,000 a year, instead of $142,000 — more than federal MPs and most provincial premiers. Premier Stelmach gets an even bigger boost to the paycheque: He’ll now make $213,450 a year, up from $159,450. Mr. Stelmach now makes more than his Ontario counterpart, Dalton McGuinty, who manages a province nearly four times as large, making Alberta’s CEO the highest paid premier in the land (Quebec’s premier makes $194,900 and everywhere else the rate is $165,000 or lower). Not bad for a government that famously chooses to sit in the legislature for less than five months out of the year. MLAs will also get bonuses for attending committee and cabinet meetings, which had previously been considered part of their full-time job. Ok folks the Premier has set the rate for collective bargaining increases in Alberta for this year. After all he claims his 34% increase is needed for purposes of attraction and retention, a current problem faced by all employers in the province. Then Stelmach tried to explain the inexplicable. "If we are going to attract younger people for government we've got to pay them appropriately," the premier said. "I remain committed," he said without much conviction. And the Alberta Weekly Average Wage increase was 4.53% as announced by the Government in April. Ed gets a whopping 30% increase over that. Far greater than the incease most Albertans got this year. And a salary increase that is larger than the annual Canadian salary. Albertans have every right to be furious at Premier Ed Stelmach and his 23 cabinet ministers for topping up their salaries by 30 to 34 per cent. That's an extra $41,950 to $54,000 a year for work that's always been included in their base salary -- attending meetings for cabinet, Treasury Board and policy committees. Not a bad promotion, considering the average weekly earnings in Canada last year were just $751, or $39,052 per year. And certainly larger than any minimum wage increase in Alberta. In June 2007, government announced minimum wage increases would be adjusted based on the average weekly wage and come into effect April 1. If Alberta's average weekly wage increases from one year to the next, the minimum wage will increase by the same percentage. And its not like they don't get raises, the Government members get an annual increase based on this same index, so its not like they weren't going to get a raise anyways. Members of the Alberta legislature received pay raises of 5.23 per cent effective Saturday, an increase more than twice the rate of inflation. That brings their yearly salary to $71,244, up from $67,698 last year. Salary levels for Alberta MLAs are set every April 1 based on the annual increase in average weekly earnings in the province as calculated by Statistics Canada. Meanwhile former Tory Energy Minister Greg Melchin gets to become a paid lobbyist to the government that used to employ him. This is the same guy who screwed Albertans out of our fair share of royalties from his pals in Big Oil. This is the ultimate kick back for his doing his masters bidding. Word of the cabinet pay hike broke the same day we learned former energy minister Greg Melchin was hired on to the board of a Calgary oil company -- just three months after leaving politics. Turns out Melchin is exempt from the government's six-month cooling-off period because he hadn't been energy minister since 2006. (He's also not bound by the new 12-month cooling-off period because he left politics before April 1.) He was most recently minister of seniors. So, there's no problem with him taking the oil company job, says the province's ethic's commissioner. Rules are made to be broken or gotten around, or well you see how it works. It's all very transparent and above board. The rules don't apply to clever Tory Cabinet Ministers never have, never will. After all those who write the rules know how to get around them, they wrote them. The Democratic Deficit continues in Alberta, it is the Alberta Advantage for the Tired Old Tories.